Apparently it is not uncommon for the type of LCD in my car to fail. 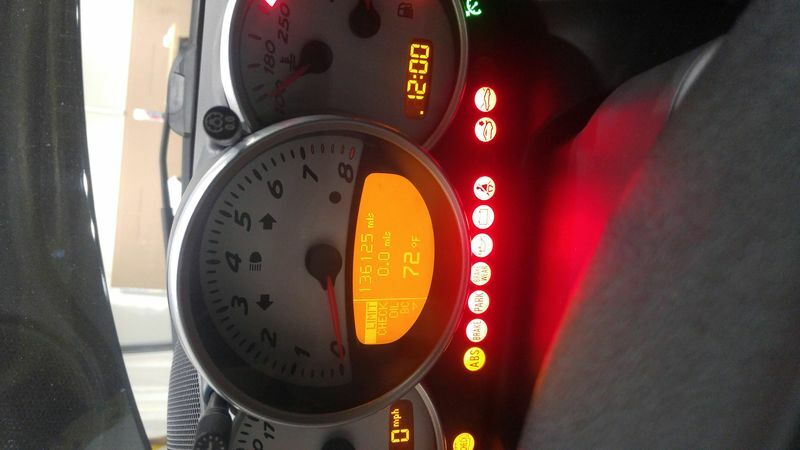 I would have thought that all of the LCDs in the dash clusters were the same. 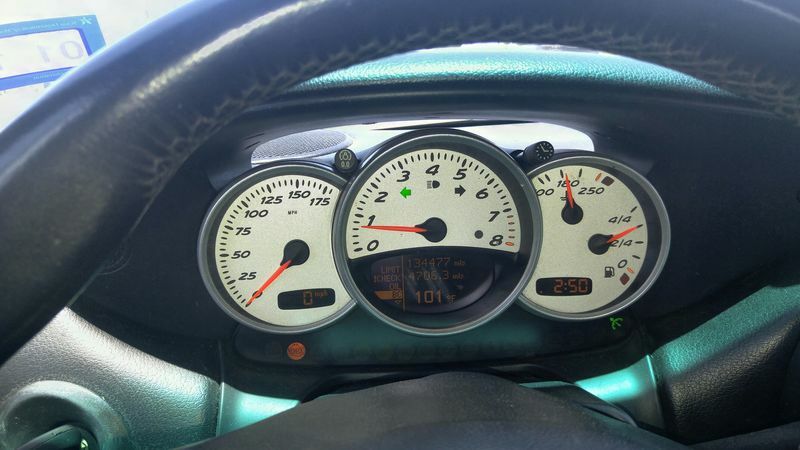 Not so, the LCDs in the dash clusters seem to change from year to year, and possibly with different options in the same model year. Looking at part numbers reveals there are a variety to choose from. Since the cluster I needed was $350 on fleabay, and I only needed the LCD I decided to fix my LCD. 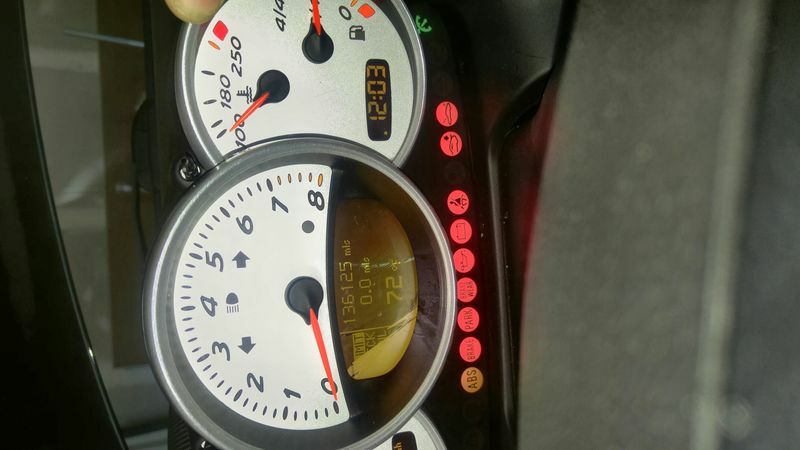 Side note here, the LCDs that "fit Boxster 1997 to 2004" on fleabay don't fit anything I can tell. It's a scam. Note the foggy diagonal lines over the temperature. They were far more noticeable than the photo shows. I took the cluster apart and the surface was a gummy substance that was clearly breaking down with age, and possibly heat. Under the gummy substance was a thin tinted membrane partially de-laminated from the glass substrate it was glued to. 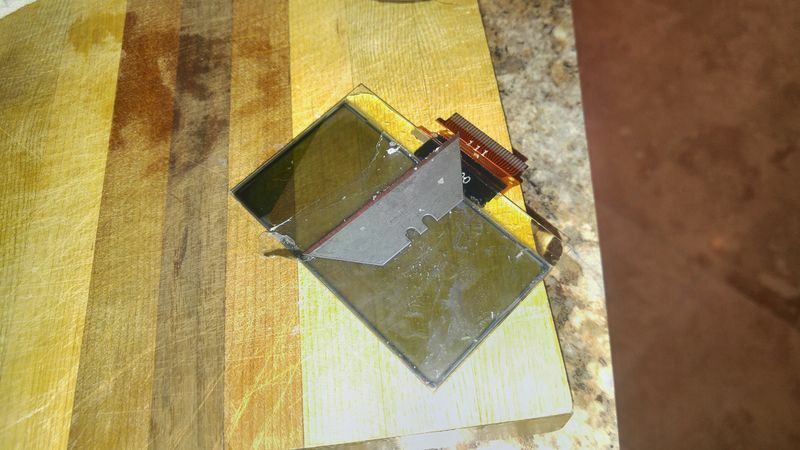 Some of the membrane came off with the gummy material leaving this, aside from being sideways. Then I remembered a trivial fact learned in college. LCDs use a polarized film and polarized light to make the LCD content visible, the film had to be polarizing. So first a little scraping and cleaning to get the old film and adhesive off - water an ammonia seemed to work best to get the adhesive off the glass, but barely worked at that. So I can finally put the cluster back in. Next time, Installing Air Horns. Last edited by Jamesp; 04-01-2017 at 04:33 AM.